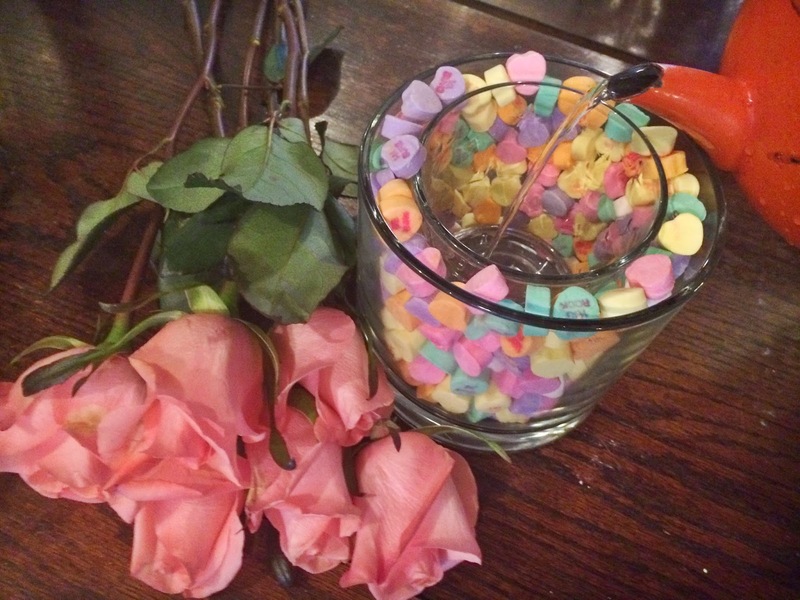 Looking for the perfect centerpiece for your Valentine’s Day meal? 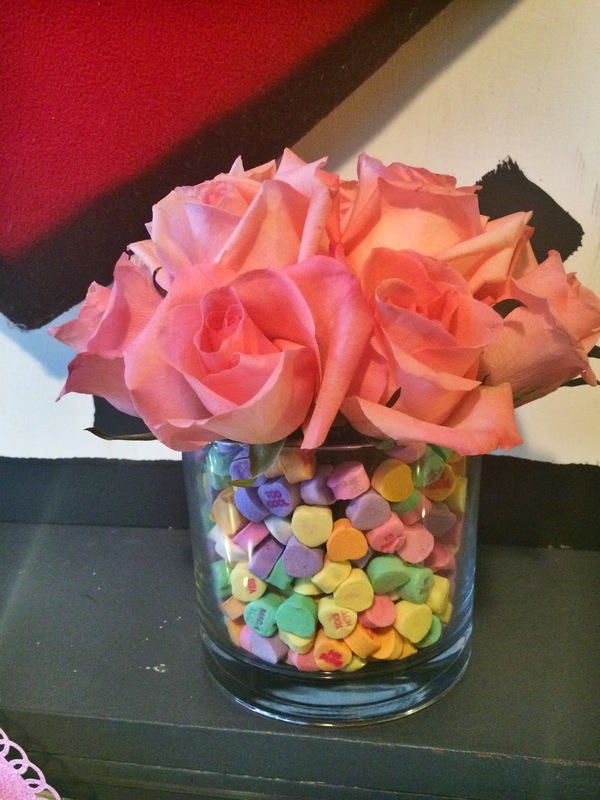 Look no further than this conversation heart and rose arrangement. 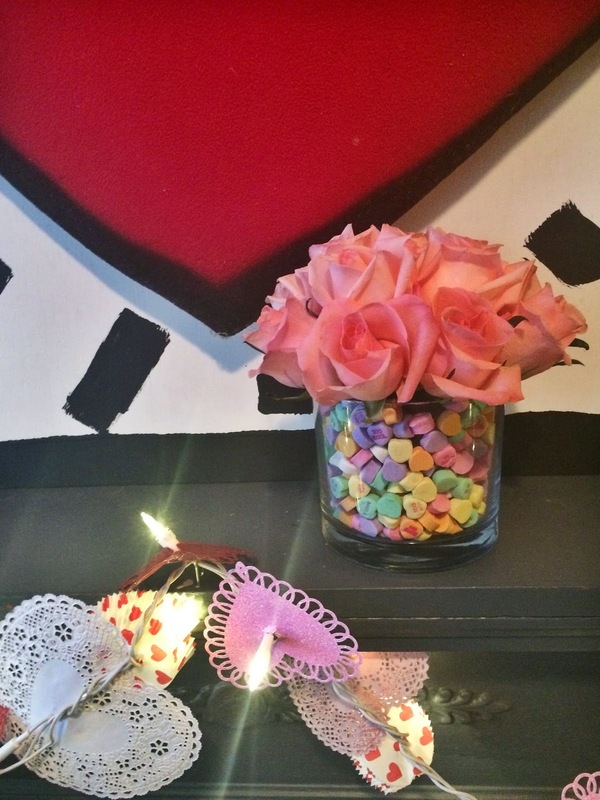 It’s super easy to put together and simply adorable. Place small container inside large container. 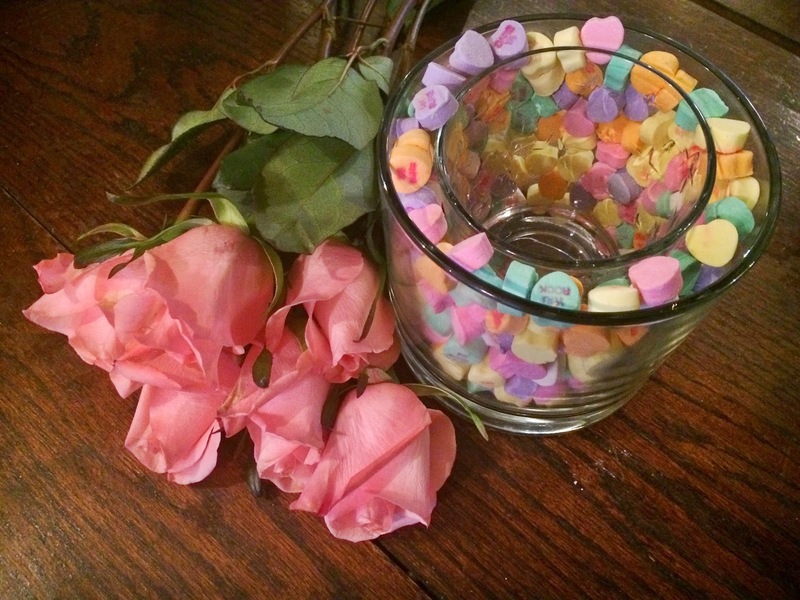 Fill the gap between the small container and the large container with conversation hearts until you reach the top. Fill small container with water. 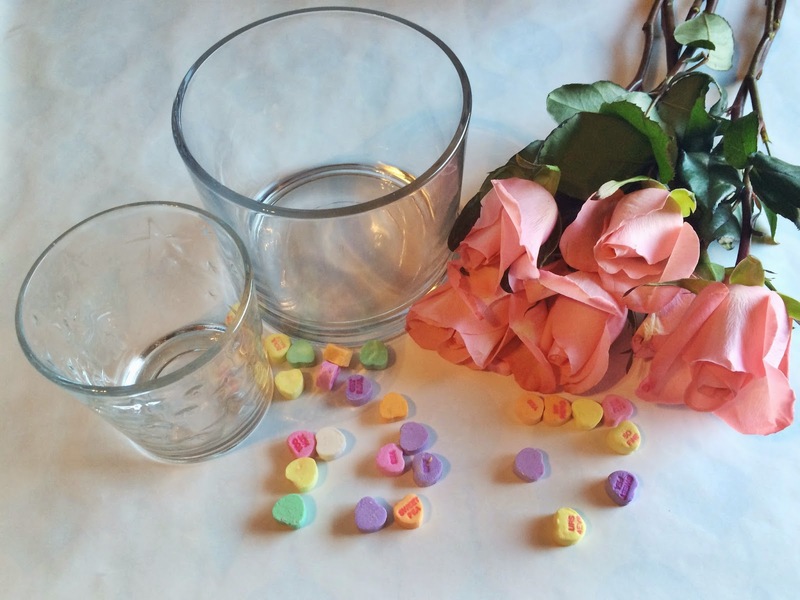 Add flowers. 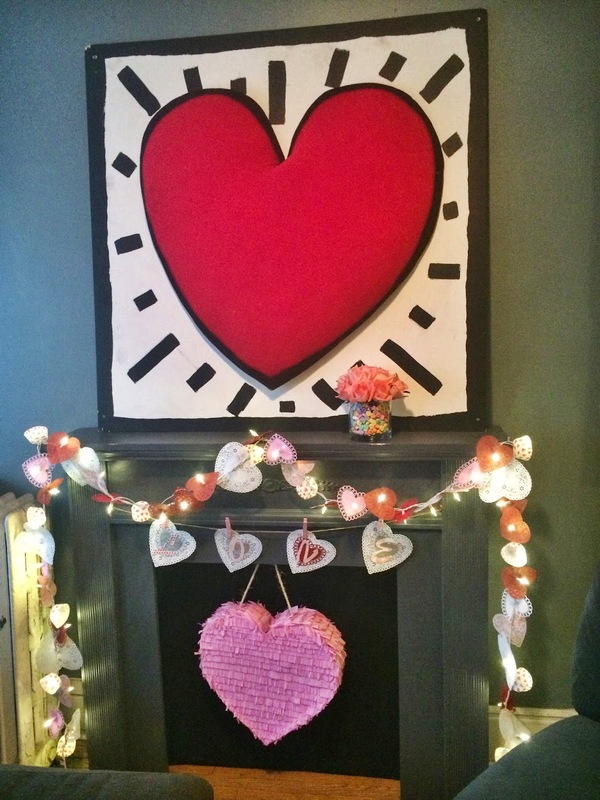 Mine looks perfect placed on the Valentine’s Day decorated mantel next to a Keith Haring inspired piece of art my friend Jo created.